It is often said that actions speak louder than words ? yet in some cases it's the words you speak that can cause life changing actions. SPEAK THOSE THINGS ? a 3-word command, a simple statement and the powerful title to FRED HAMMOND's upcoming new solo album. To speak those things, is to literally speak life into situations that bring about death and decrease. ?By speaking life into your problems,? said Hammond, ?You allow God to hear you and God will show you the solutions. That is the attitude of this album.? To speak those things, is to literally speak life into situations that bring about death and decrease. ?By speaking life into your problems,? said Hammond, ?You allow God to hear you and God will show you the solutions. That is the attitude of this album.? Hammond's, ?SPEAK THOSE THINGS: POL Chapter 3? addresses who God is and what He can do in our lives. It is no departure from the now ?duplicated? ?Hammond signature' of urban praise and worship, but the approach of the album is focused on the worshipper calling on the Lord, praising Him, knowing Him and desiring to be closer to Him. It is 15-tracks of high-impact praise & Gospel music that is aimed at changing lives and bringing about solutions. In the aftermath of last September, Hammond recalls seeking God and seeing Him work in all situations. ?In the midst of misery and hopelessness, we have to see where God is and trusting that His hand is in everything around us.? Pointedly conveying this message; and in only a way that Hammond can, is the compelling song ?Show Yourself Strong.? Directly inspired by what he saw happening around him, ?America rallied together and everywhere people began to pray. This song is calling out to God ? ?Oh, Lord we're calling you, show yourself strong',? said Hammond. ?People everywhere began to pray and there was a time and need for prayer ? I was just thinking, we need you now God, if we've ever needed you before we need you now.? Song after song the album serves as a reminder to turn to God no matter what the situation. ?Praise Him Through The Night,? a direct message to praise God even in the middle of adversity. ?My focus is on praise & worship in the middle of the fight,? said Hammond. ?Even in the toughest of times, God is always around somewhere, and I will continue to praise to Him.? Lyrically, it is a beautiful ballad that brings about a sense of peace that supports the message that it is through praise and worship, that we rebuild our strength. 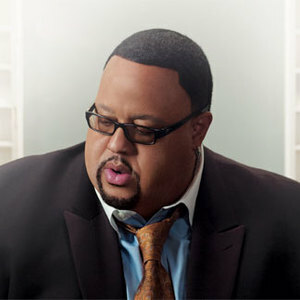 In distinctive Fred Hammond fashion, the album kicks off in high gear with 2 slammin' praise & worship cuts. Like a 1-2 punch, ?You Are My Daily Bread,? and ?Lord of the Harvest,? contains that signature feel and sound that has positioned Hammond as one of Gospel music's most successful hit makers. Dynamic, powerful and vibrant, the songs defy any listener to stay in their seats. The feelings of encouragement and healing are palpable throughout this CD, from the collaborative ?Song of Strength,? featuring the F.Hammond Music family (Joann Rosario, The Singletons and Shea Norman); to the smooth sounding ?I Will Say,? which verbalize the albums' entire theme. Once again, teaming up with writer Kim Rutherford, Hammond hopes to capture the successful chemistry they shared on the enormously popular ?Pages of Life: Chapters I & II.? The album's title pays homage to their writing partnership, ?POL stands for Pages of Life,? explains Hammond, ?and I felt the same synergy with Kim, on this album as I did then ? I also knew she would be very instrumental in helping to capture the essence of this project.? Hammond & Rutherford joined forces on such key cuts as ?That Ain't Nothin,? and ?Show Me Your Face.? The latter, ?Show Me Your Face,? is an R&B flava'd emotion-filled ballad that seeks a closer and unequivocal relationship with God. The album includes a blazing collaboration with super-hot producer Warryn ?Baby Dubb? Campbell. ?Great,? featuring Mary Mary, declares God's greatness. ?As soon as I heard the track I wrote the song ? I immediately felt it ? I had to talk about all the great things God has done for us ? there is no problem too great because God is greater,? said Hammond. ?Plus Warryn is a phenomenal talent and we'd been trying to get together for a while. This was the perfect opportunity for all of us to come together? their contribution definitely brings a new and exciting element to the project.? Other jams on the album are ?My, My, My God Is Good,? where Hammond brings a funky track, wrapped around a little hip-hop flava. ?It is a straightforward praise of God's goodness,? said Hammond. And ?That Ain't Nothing? which completes the album, as it began ? on a high, upbeat and joyous note. Complementing the upbeat praise selections is a number of worship ballads that address the boundlessness and wonder of who God is. ?You Are My Life,? and ?He Is Not Just A Man,? both proclaim the wonder of His vastness and that He is truly everything. Already a Platinum selling artist, Hammond has toured around the world and blessed thousands, his reach continues to grow as he progressively moves into a number of different arenas. Not only is he CEO of his own record label, F. Hammond Music, he has broadened his community outreach. Having been blessed with a number of motorcycles, Hammond and his crew literally use them as vehicles of street ministry. Hitting the roads in an effort to reach out to different people, they have formed their own evangelizing ?mini-motorcycle club.' ?People tend to believe that recreational outlets like these are only for the world,? said Hammond. ?This [motorcycles] gives us an opportunity to hit the streets and show the world that serving God can still be fun ? and allows us to minister to those people who wouldn't normally go to church. ?